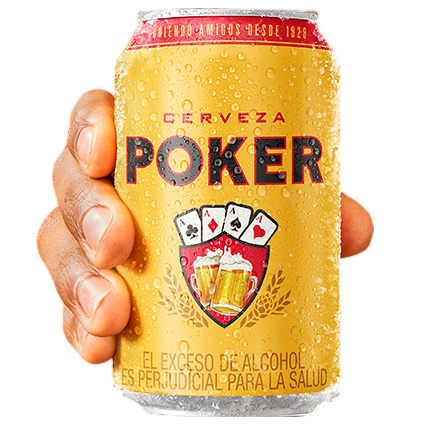 Trust, authenticity and friendship – the tenets that underpin Cerveza Poker, Colombia’s best-loved beer since 1929 – needed to be reinforced for today’s beer market. 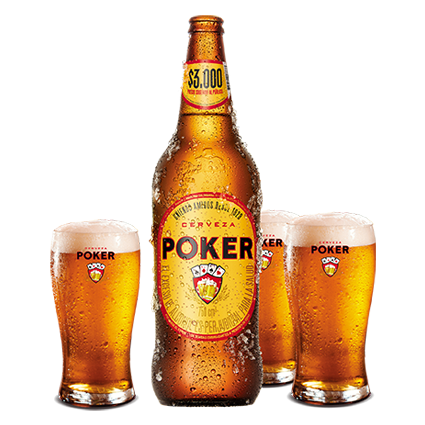 Never compromising on quality or taste, the Poker brand required a redesign equally as uncompromising. 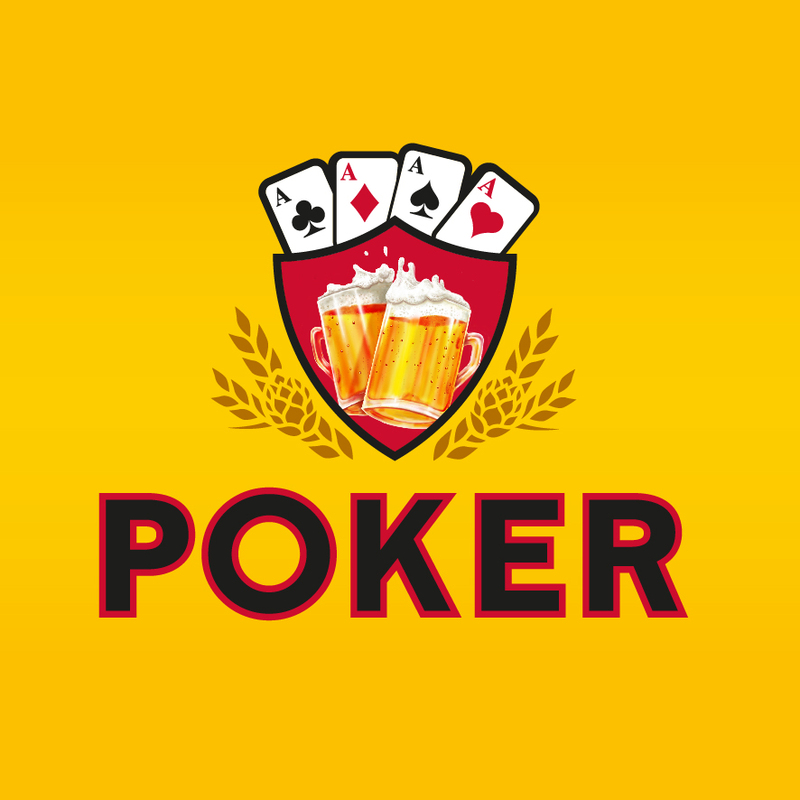 In order to strengthen the brand positioning within the company portfolio and assert its place above competitors, the slightly outdated look and feel had to go. However, having always had a distinctive look and feel meant that brand recognition is high and could therefore not afford to be lost. 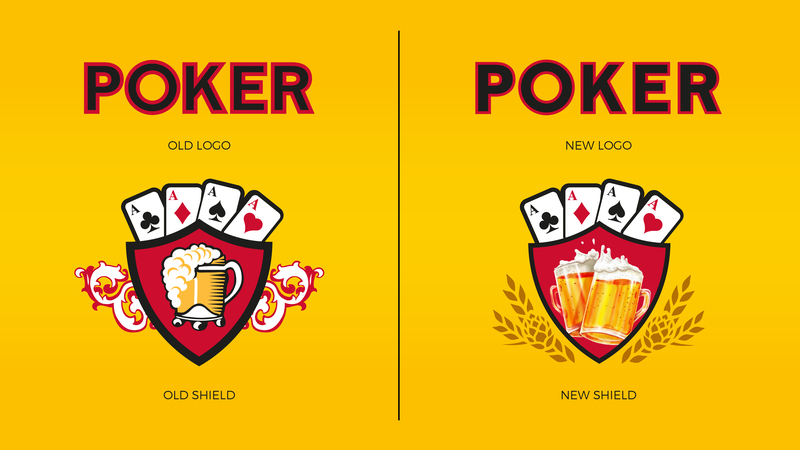 One of the first starting points was the brand shield, a central aspect of the overall brand identity, featuring in virtually all branding and marketing collateral. In depth study of the brand logo and icon allowed the creative to team to unearth several new visual interpretations of what the brand represents. With the brand shield, the four of a kind hand remained the focus, with the overflowing tankard and traditional detail both enhanced. A second tankard was added with the two charging convivially and the traditional detail was replaced with wheat (hops?). 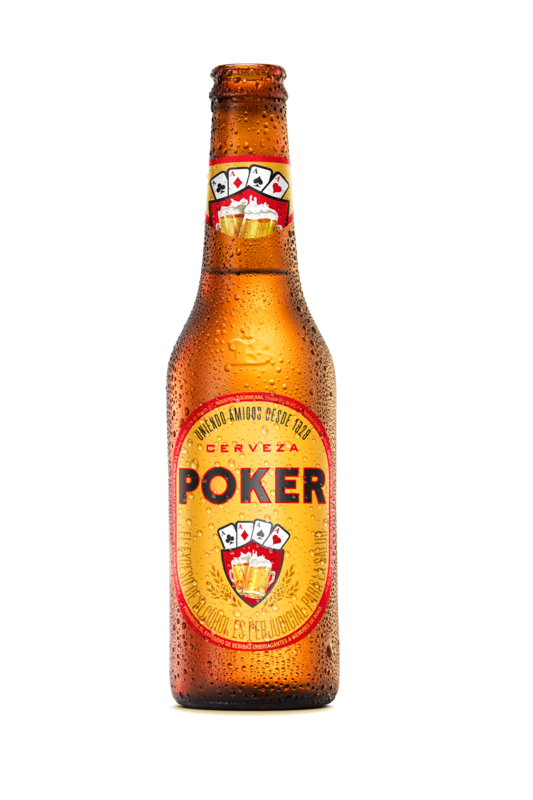 Inspired by the art of traditional German brewing balanced with refreshment honed for the Colombian climate, it goes without saying that Poker is a true one of a kind and it was crucial that sentiment remained in the redesign. Interested in working with us? Get in touch here!